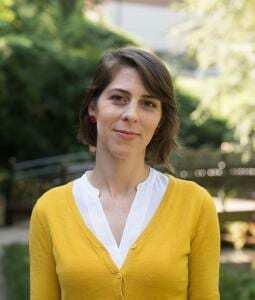 Today on the blog we are showcasing the digital scholarship of a new professor at UO, Dr. Jo Weaver, who joined the International Studies department as an assistant professor in 2018. Before coming to Oregon, Dr. Weaver taught at the University of Alabama, and while there she began a collaboration with two other professors, Erik L. Peterson (historian of science) and Jim Bindon (biological anthropologist). 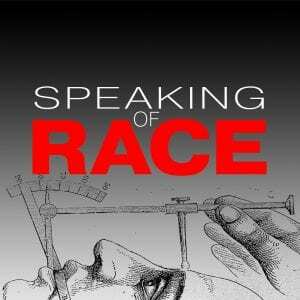 Their collaboration resulted in Speaking of Race, a transdisciplinary podcast on race that interrogates “our species’ centuries-long debates over how to define biological and behavioral difference, and why it continues to matter today.” Now working at universities on different sides of the country, Weaver and her co-hosts have continued to record podcasts remotely. They are garnering a lot of attention for their transformative work in a number of different fields. The three scholars realized that podcasting was a great way to reach a broader audience outside of students enrolled at the University. Weaver notes that “Given our individual orientations toward social justice in everything we teach, creating an open access platform for this material just made sense.” Transferring their discussions with students into an open-access podcast was a brilliant way of disseminating important information, free of charge. Increasingly, listeners turn to podcasts to learn about music, literature, politics, and race while cleaning the house, walking down the street, or driving to the store. Podcasting brings subjects previously confined to desks or classrooms into other spaces. At the same time, the ease of creating a podcast has led to further blending of subjects and spaces. Many faculty find that podcasting offers a great way to engage in enriched conversations in classrooms and public outreach, or to shift their students toward the public as they produce audio essays. The researching, recording, and editing of the podcast does come with its challenges, however. Because thousands of miles now separate Weaver from her collaborators at the University of Alabama, they cannot record from the same room. Using a program called Zencastr, they now record their podcast from their respective offices, on three separate audio tracks.. Once recorded, they take turns editing the podcast using Adobe Audition before publishing the final version to SoundCloud. Once it’s published, the podcast attracts a broad array of listeners, including “students, scholars, and educated lay audiences with interests in race and racial inequality.” While it is difficult to track the exact number of people who follow Speaking of Race, they know the number of listeners tuning into each podcast reaches the thousands. Thank you to Professor Jo Weaver for helping with this blog post. You can find Speaking of Race on their website (http://speakingofrace.ua.edu/), Stitcher, iTunes, and Google Play. You can also follow them on Facebook (@SORpodcast), Twitter (@SpeakingOfRace), and Instagram (@speakingofrace).